A while ago, I shared how to register Baidu accounts overseas online, many people gave me their feedback about problems they encountered, and I sorted these into a problem set : Baidu Registration FAQ (Frequently asked questions ) , which lists problems people encountered frequently when signing up Baidu account , you may find solution to solve your problem here, let’s have a look! Q1 How to choose Country Code when I sign up Baidu? 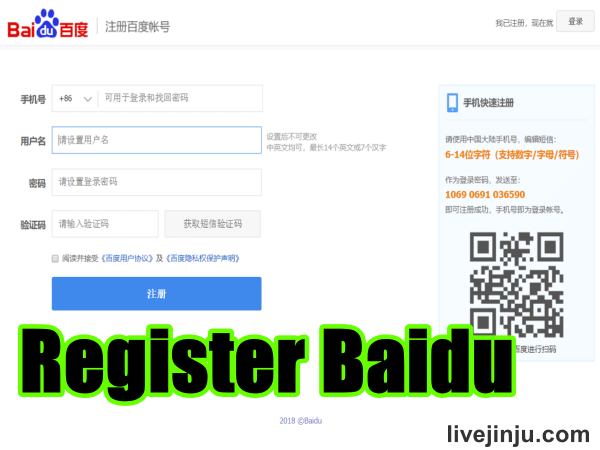 A1 We cannot select the Country Code in default Baidu registration page , to register via international phone number , please enter the post below and follow this tutorial to complete your registration. 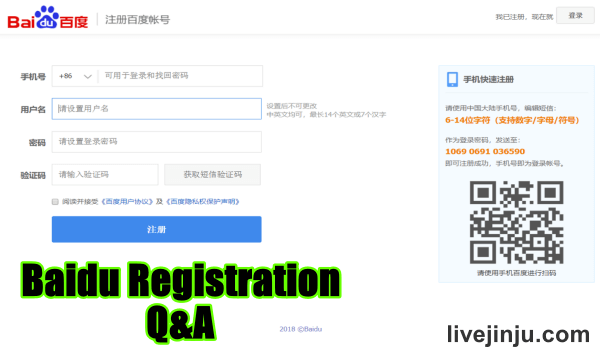 Q2 How to register Baidu overseas ? A2 After entering the registration page in the tutorial below, click on the Country Code field (+86) , then select your country code , for example, if you registered Baidu in Taiwan, change +86 to +886. Q3 Can I sign in Baidu via third-party login with QQ or Weibo ? A3 From my actual test experience , after signed in with QQ or Weibo , we still need to bind a Mainland China mobile phone number. 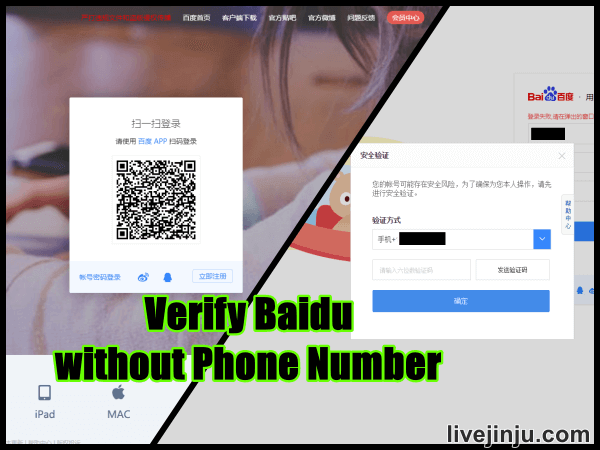 Trying to creating and to log in via a Baidu account would be faster and easier , you could bind it with your own phone number or e-mail , please refer the tutorial below to know more. Q4 How to solve the mobile number security verification and unbind my phone number? A4 To unbind your phone number with your Baidu account , or to use your e-mail for security verification , must see the post below. Q5 Can I register new account with the same phone number ? 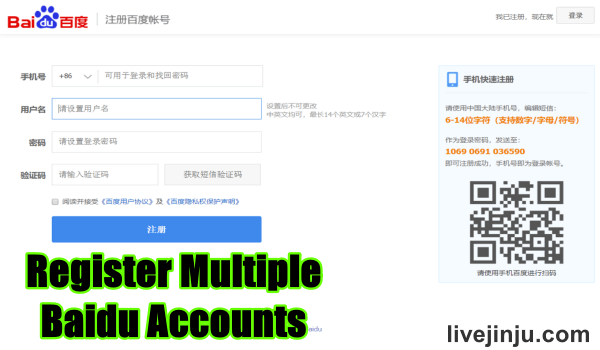 A5 No, one mobile number can only be bound with one account , but you could refer this tutorial below to learn how to register multiple Baidu Account. Q6 Can’t register via browser on PC / Laptop ? A6 I registered successfully with Chrome Browser on my laptop , if it didn’t work for you , you could try IE, Firefox or Baidu Browser. Q7 I registered Baidu successfully , but couldn’t log into Baidu ,why? A7 You could log in Baidu with your phone number or username , but from my experience , I failed to log in when I was using my registered phone number ( outside China) , I guess we can’t log in via international phone number , so I would suggest logging in with our username and password . Thank you for your feedback for all of these FAQ , if any question or comment , please leave a message below! Hope all of you register Baidu successfully , and don’t forget to SHARE this post , thanks!